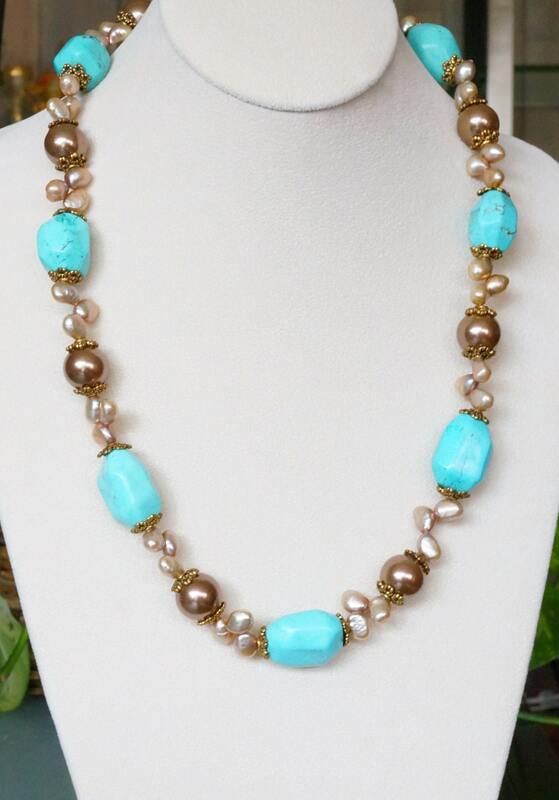 Here you have a very impressive necklace designed with turquoise nuggets and freshwater pearls. 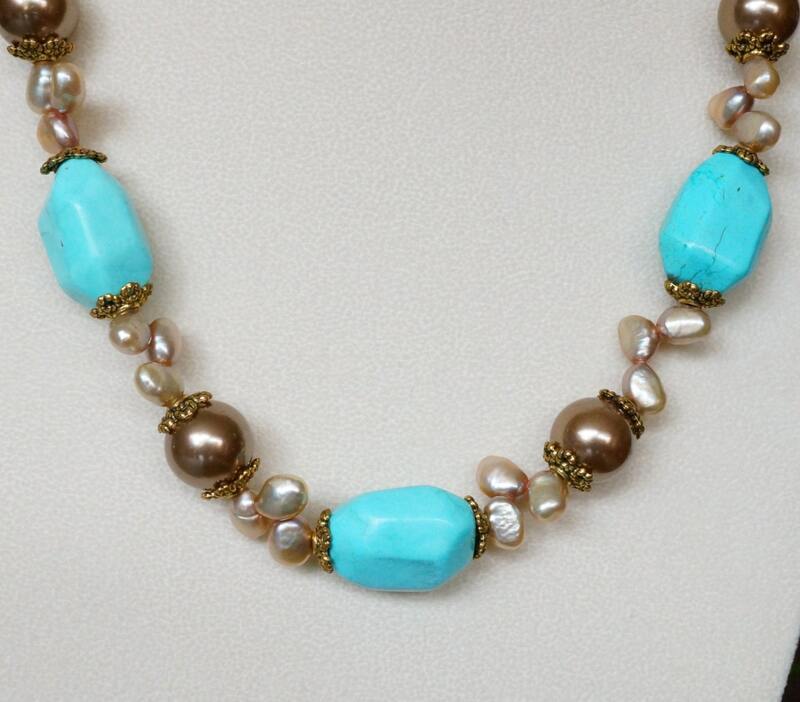 The pearls have a beautiful shine to them. The big round pearls are shell pearls. It all comes together with a gold plated toggle clasp. The necklace measures 24 inches. It can be shortened, at an extra cost of $10. It cannot be lengthened. 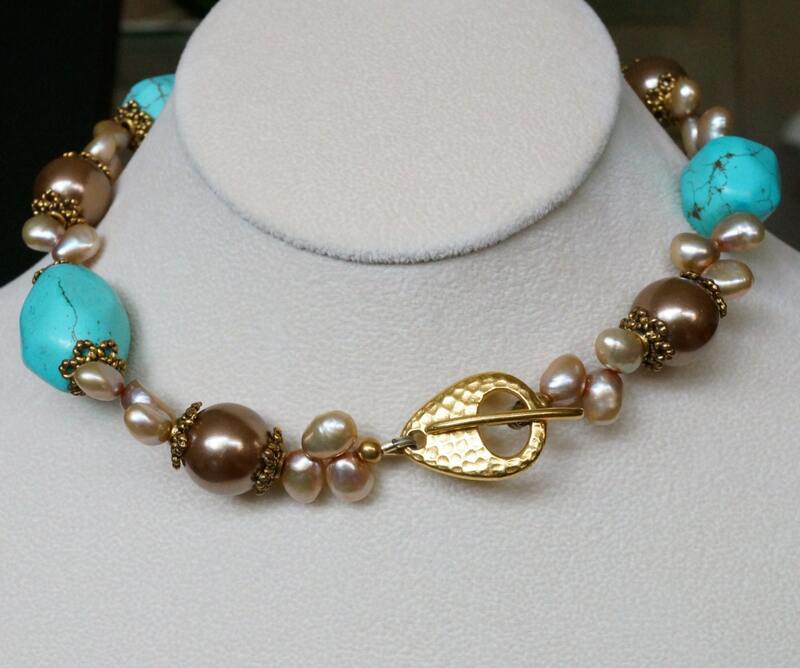 Please know that this necklace is a one of a kind piece. I do not repeat the exact design. You will be the only one to own it! Nobody else. That is what makes my jewelry so exclusive.